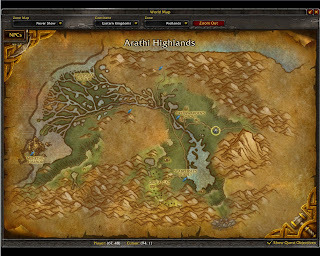 I was farming this spot with my level 43 rogue so I could level my leatherworking and get some cloth for the AH since it's still stupid high on my server. 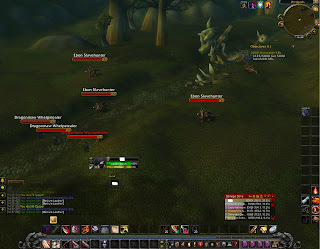 The re-spawn rates are around 3-6 seconds and there are a constant 5 that spawn, wait around 5-7 seconds then charge to fight the other mobs. The mobs are Ebon Slavehunters, they are level 24-25 and have around 650-700HP and drop between 72 copper to 1silver 20 copper. Here is the exact spot I farmed. Here is the map to show the spot. If you need Black Whelp Scales you can skin the Ebon Whelps that are around the same area. They sell for 50g/stack on my server so it wasn't a bad change of pace. There is also a random (very small) chance of getting a vanity pet Tiny Crimson Whelping. Sounds like a pretty sweet spot! ya, this damn Tiny Crimson Whelping!! Always looking for a good farming spot. cool. Never played wow but that vanity pet drop sounds awesome.